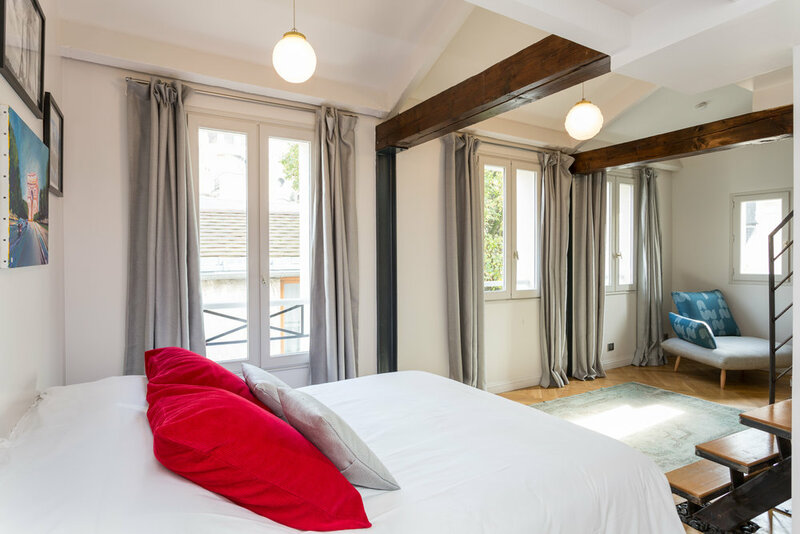 3 windows with spectacular views of the Sacré Coeur, a high ceiling, oak and metal touches make the Dali Duplex Suite a bright and spacious loft. 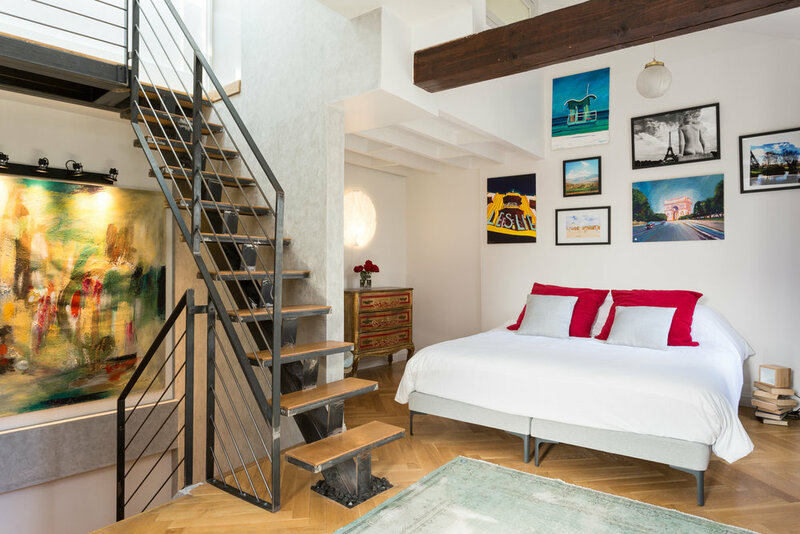 An original, custom metal staircase leads up to the white marbled bathroom with its elegant bath. 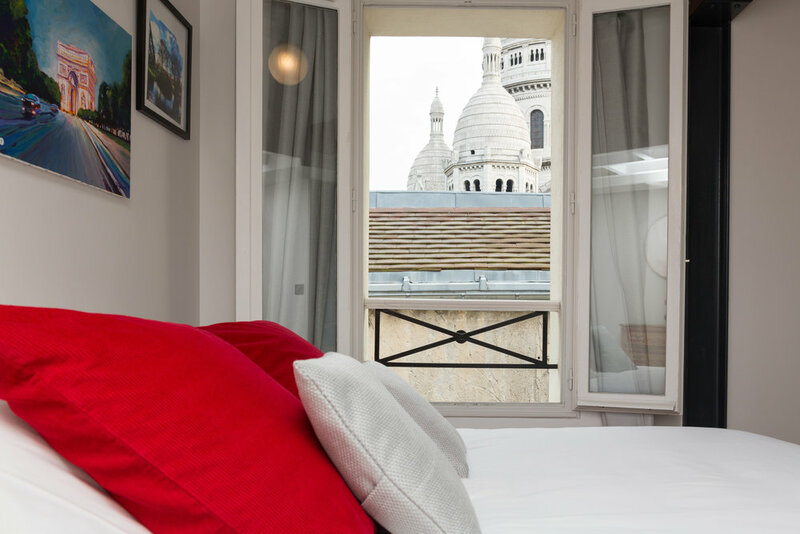 Sleep with a clear view of one of Paris’ most beautiful landmarks. 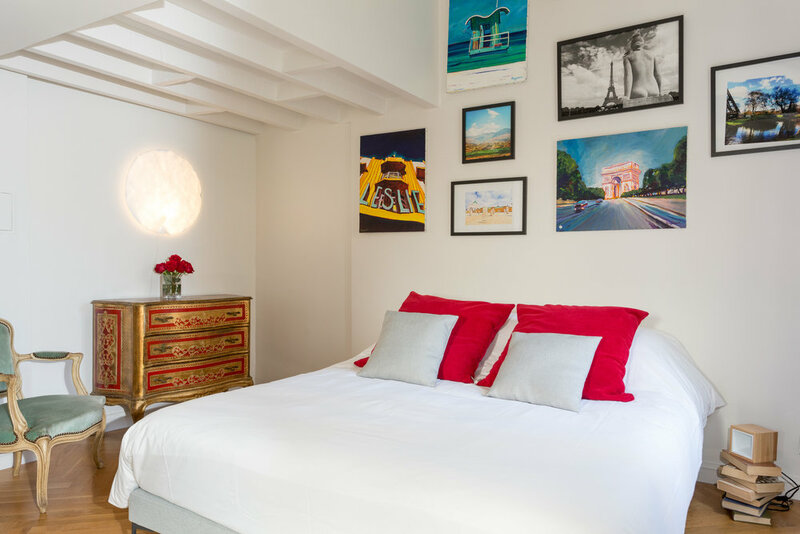 An inspiring collection of painting & photos from our in-house artists lie above the double bed signed André Renault, luxury French bedding firm. The red & gold late century dresser is softly illuminated by the Japanese paper “Moon” wall light. 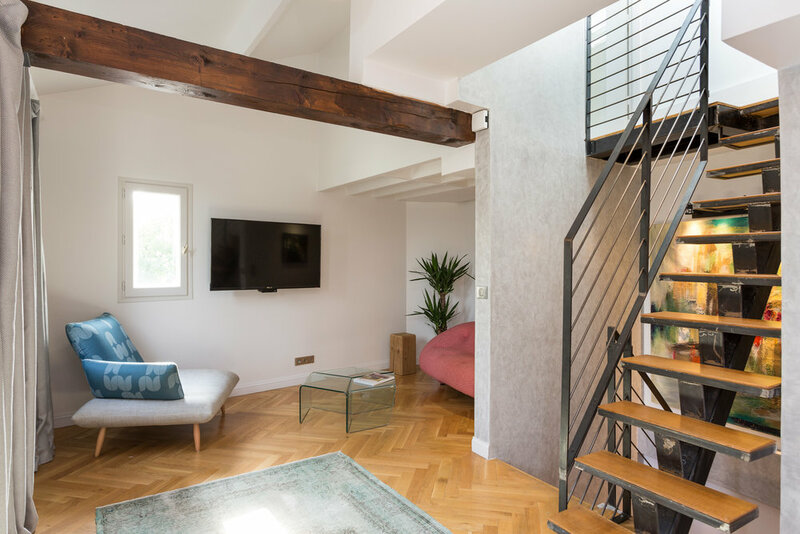 Lit by a pair of art deco lights, the living room is furnished with a beautiful red Ligne Roset designer sofa, 3 Roche Bobois glass coffee tables and an oversized, comfy chair. A teal vintage rug completes the space. CARRARA MARBLE ENSUITE BATHROOM, fitted with an elegant designer bathtub and porcelain sink. The window peaks on the Sacré Coeur dome! The Dali Suite is equipped with flat screen TV, Cable and Nespresso machine.